You don’t need sword skills to pull off the Musketeer Beard but knowing how to handle a Wahl® trimmer helps. This style is sharp and something you don’t have to fight with to maintain. Let a small patch of hair on the chin grow. Almost in the shape of a Band-Aid you’d place horizontally across it. 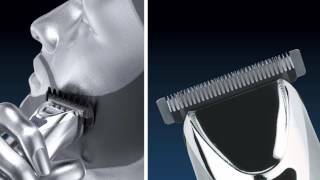 Use your Wahl® trimmer to cleanly shave your cheeks, jawline and upper parts of the chin. Let the mustache grow a week or two until it reaches medium thickness. Keep it trimmed at the corners of the mouth. Shave every couple of days to remove stubble in the areas that are meant to be clean-shaven.